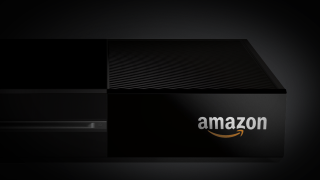 Will Amazon's rumoured console go the way of the Ouya? Amazon is said to be working on a console that will bring Android gaming into our living rooms at a price that undercuts the PS4 and Xbox One. Hold up – haven't we heard this all before? The first console that attempted to bring mobile gaming to the big(ger) screen was 2013's Ouya. But even with the low, low price tag and pleasing design, a lack of worthwhile games sent it plunging into the tepid pools of mediocrity. So what makes Amazon think it's got a better shot? We'll tell you why in this week's Gaming Spotlight, the first of a brand new series for TechRadar. In our debut show, Patrick Goss and Hugh Langley place their bets on the success of Amazon's alleged 'Droid-powered system, as well as delving into the gossip surrounding Sony's (rumoured) Oculus Rift-rivaling headset. To top things off, we've also got our review of the PS Vita Slim. Talk about a tech trifecta.